Have you noticed what looks like mold in your basement, crawl space, or bathroom? She said she wanted to grow OLD together. Many types of mold can actually cause minor to serious health problems, in addition to putting the structural integrity of your house at jeopardy. Whether it’s the smell, sight, or health effects, mold is an all too common problem affecting homes throughout New England. If you think you’ve found mold in your home, don’t worry. The licensed experts at Budget Dry and Green Home Solutions have teamed up to provide professional and eco-friendly mold remediation to make sure the only molds in your home are for jell-o. Read on to learn about common signs of mold in your house, health risks of mold, and how to get rid of mold in your home. Like green fuzzy snowflakes, mold comes in all shapes and sizes. The many different types of mold have their own colors, characteristics, and effects on your health. No matter the type, all molds require high levels of moisture in your home and are common side effects of leaky and wet basements. 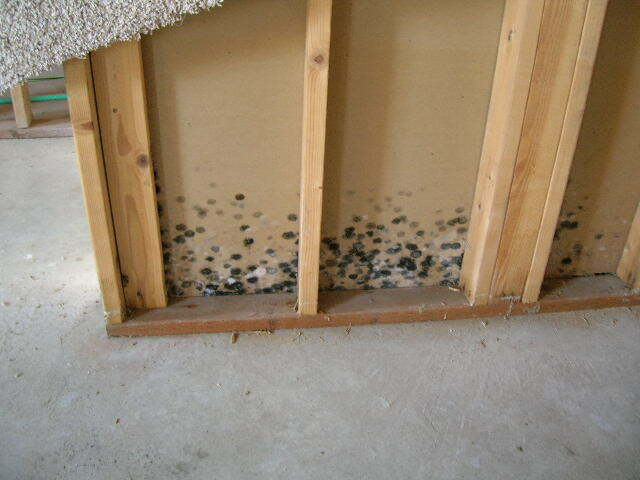 Stachybotrys: Stachybotrys mold is the family of mold that produces the dreaded black mold. This family of black mold loves wet or damp locations that are rich in cellulose (think wallpaper, plastic & resin alternatives, and insulation). Black may be back in interior design, but please don’t let mold do your redecorating for you! Stachybotrys atra: Also called stachybotrys chartarum, this is the “toxic black mold” (The CDC actually classifies this as a “toxigenic mold,” meaning this type of mold produces toxins, instead of being toxic, which is a nit-picky distinction) that can cause severe adverse health effects, like pulmonary hemorrhaging. Aspergillus: Aspergillus mold is generally found on foods and in home air conditioning units and ducts. It comes in a variety of species and colors, all of which are as off-putting as its name. The health effects range from mild allergic reactions to severe infection. Cladosporium: Cladosporium is one of the most common types of household molds. It comes in a rainbow of colors you might find in a sewer: from olive green, to brown, to black. Like most household molds, cladosporium grows on surfaces where moisture is present and is commonly found on fiberglass, painted surfaces, and the backs of toilets. Some side effects of cladosporium exposure include rashes, sore throats, and irritated eyes. This black and white mold almost looks like someone painted polka dots on their basement wall. Almost. Think you may have mold in your house? Not sure if your home is at risk for mold? Figuring out if you’re dealing with mold as soon as possible is important — left unattended, it can cause health problems and be an early indicator of water damage in your house or basement. You’ve developed allergic reactions, like irritated eyes, sneezing, and/or a runny nose. It’s especially likely that this a sign of mold if your symptoms lessen when you go outside. You can smell a moldy odor (try saying that ten times fast), even if you can’t see any mold. You start to notice visible discoloration in parts of your home, like the kitchen, basement, or bathrooms. You’ve experienced flooding, leaking, or increased moisture — all of which create the perfect environment for mold growth. While we consider ourselves some fun guys and do hope our bad mold puns are growing on you, there are some serious dangers of mold exposure. Long term exposure to mold can cause a range of health issues, including upper respiratory tract issues and infections. Mold can also cause damage to your home, unseemly discoloration, and bad odors. If you’ve experienced or seen any of the above symptoms or effects, we at Budget Dry (and the CDC) highly recommend that you get the mold cleaned up sooner rather than later. Some molds can be mostly cleaned up from hard surfaces with commercial products, soapy water, or a mixture of 1 cup household bleach to 1 gallon water (NEVER mix bleach with ammonia or other household cleaners, as this can create harmful or toxic fumes). While there are a variety of means to clean up mold in your home, it’s often advisable to contact experts in mold removal. Besides the potential health risks from the cleaning solutions and mold exposure, you also run the risk of not getting rid of all of the spores. Mold remediation professionals, like our team at Budget Dry, will ensure that the mold is entirely cleaned up and that the cause is removed to help prevent future instances. Mold is caused by sitting water or high humidity environments, and is often a symptom of leaking or water damage in your home. 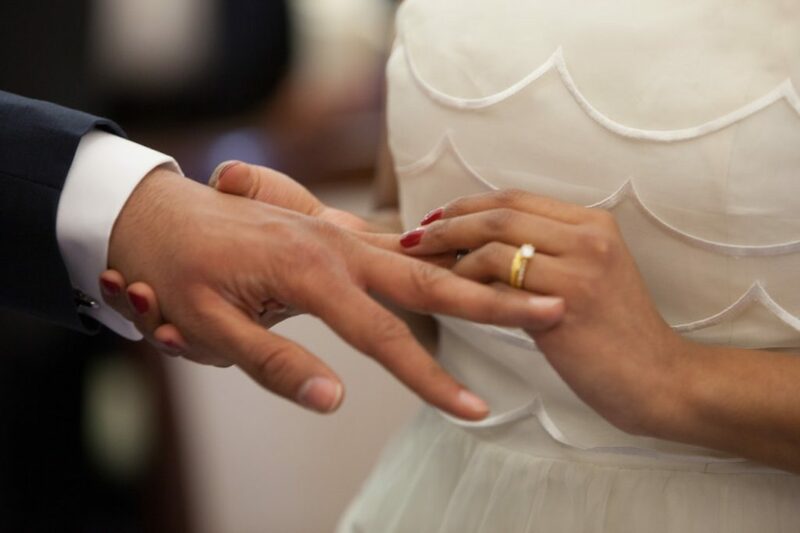 If you’re worried that you may be at risk, it’s worth having the affected area checked out by a professional. 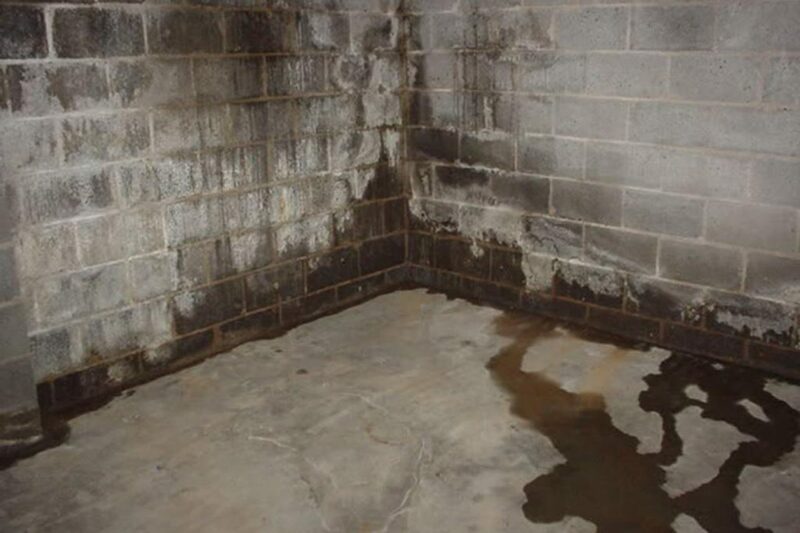 The best thing you can do to prevent mold growth in your basement is to waterproof it. Reduce humidity levels, especially in basements, as much as you can. The CDC recommends keeping humidity levels at or below 50% throughout the day. Get rid of any carpeting, upholstery, or fabrics that have been damp for extended periods of times. Avoid using carpeting and rugs in high-moisture areas, like your basements and bathrooms. Use daily cleaning products that also kill mold. Buy paints with mold-preventing products, or add them to paint before you use it. Ensure your home has proper ventilation, especially in rooms that experience a lot of moisture (like your bathroom or kitchen). Make sure high-risk areas are leak-free or waterproofed. Take the proper steps to quickly dry up after a flood. Budget Dry is proud to partner with Green Home Solutions, New England’s top environmentally-friendly mold removal service. We provide holistic mold removal and remediation services in Connecticut, Massachusetts, and New York. By stopping the sources of water and removing the mold through a natural, plant-based enzyme mold process, we can make sure your mold is both removed and prevented. Contact Budget Dry today to learn more about our mold remediation!